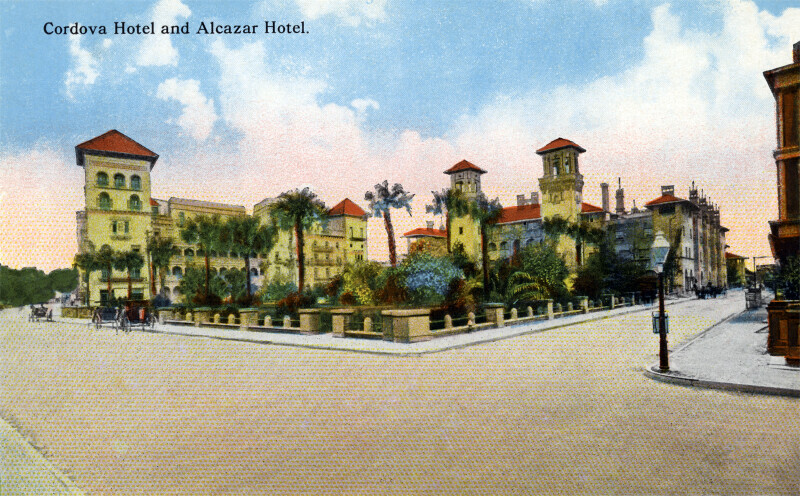 These similar buildings are the Cordova Hotel, and the Alcazar Hotel. The hotels were built in the Spanish Renaissance Revival style. There is a park, on the corner, between the two hotels. The park is bounded by a stone and metal fence. There are palm trees and shrubs growing in the park. Horse-drawn carriages are he only type of vehicle shown in this picture. WARNING: You are about to download a 13.0 MB TIFF!